Konami will release a playable demo for PES 2014 before the official release. As PES 2014 Demo will use the new engine it is not likely it's going to be released as early as PES 2013, which saw two demo versions in late July and early September respectively. PES 2014 Demo will probably be released in August or September 2013. Konami released a first PES 2014 Trailer on May 30, one week ahead of their pre-E3 show. PES 2014 will use a modified version of Fox Engine, developed by Kojima Productions. The new PES 2014 engine was announced mid-March in Edge Magazine. Key features of the new engine, besides much improved graphics, include all new physics and animation engines. The engine for PES 2014 will be using Fox Engine mainly for the graphics, according to Konami. All ingame 3D objects receive a major overhaul and are said to look very close to real life counterparts. Kits are now seperated from player models which means they they hang from the players and flow. 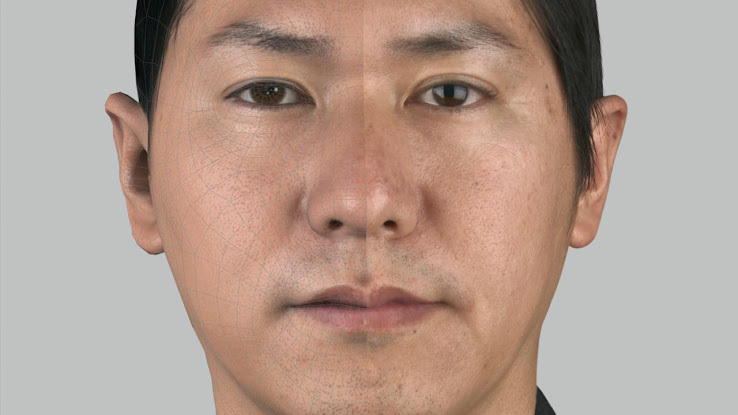 Faces, while using only 2000 polygons, are looking very realistic thanks to shading and texture. Thanks to Pro Evolution Soccer's new Engine, snow will return to the weather selection. Konami on 22/04/13 announced the addition of AFC Champions League to Pro Evolution Soccer 2014, while also confirming renewals for UEFA Champions League, UEFA Europa League and Copa Libertadores. Primera División, Ligue 1 and Eredisivie should remain fully licensed, while all Serie A teams should be individually licensed. While most English teams will remain with fake team names and shirts (as long as the league maintains an exclusive deal with EA Sports) another team might be added to join Manchester United as full licensed. This may not be one of the teams that have an individual partnership with EA (Arsenal, Aston Villa, Chelsea, Everton, Fulham, Newcastle, Manchester City, Tottenham Hotspur). German Bundesliga will remain absent apart up to two licensed teams. One of them should be Bayern while the other one is most likely the 2nd best team apart Dortmund who have exclusive EA deal, too. Seeing Konami's huge sales success in Latin America it is extremly likely there will be another full league of the region. First option, logically, is Argentinian Primera División. The league was actually rumored to be in PES 2013 with Konami reportedly failing to get all teams' licenses in time. Spanish Liga Adelante (2nd division) could well be added fully licensed, if rumors are to be believed. There were also reports about a number of Brazilian stadiums to be in the game, including new Arena do Grêmio. Konami also declared its desire to add another league with fully licensed stadiums besides La Liga, with French Ligue 1 and Dutch Eredivisie the main options. League & Offline Community modes are likely to return after all the negative responds Konami received after removing the two modes in PES 2013. 'Boot boosting' as seen in Pro Evolution Soccer 2013's Football Life modes is set to be removed altogether.